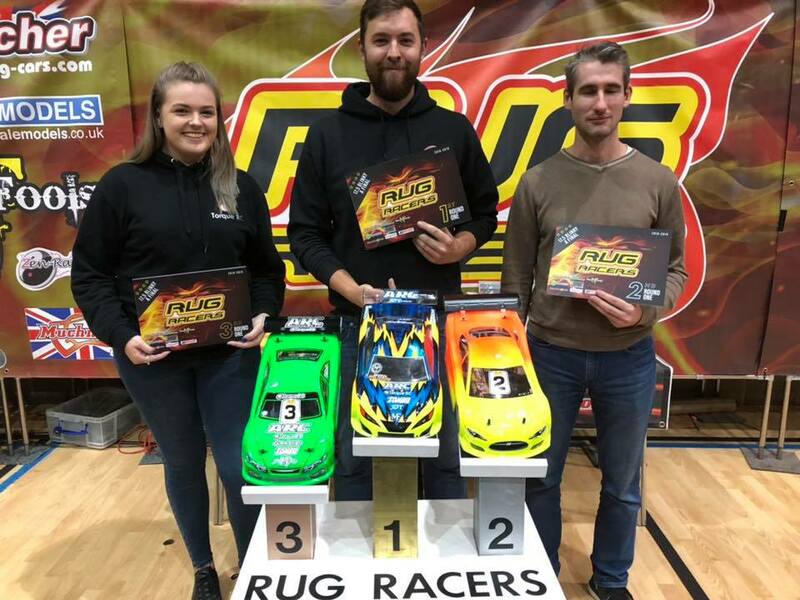 RugRacers returned for the new series with a few changes made to the track in an effort to help will the racing and limit the number of car breakages, it would appear they were successful. M-Rage Mini TC’s have been added this year and they were the 1st class on the track, what a fun little class they seem to be, Mark Young taking the A-Final Win. 3rd, Ian Smith. 1st, Mark Young. 2nd, Joseph Moore. 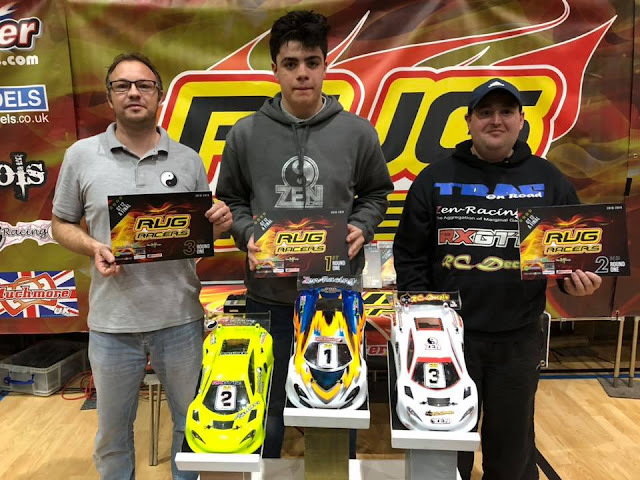 Tamiya Trucks returned with their air of fun breezing through the door with them, after some usual rubbing racing Alex Carter managed to come out on top to take the A-Final Win. 3rd, Kevin Fenn. 1st, Alex Carter. 2nd, Lance Walker. 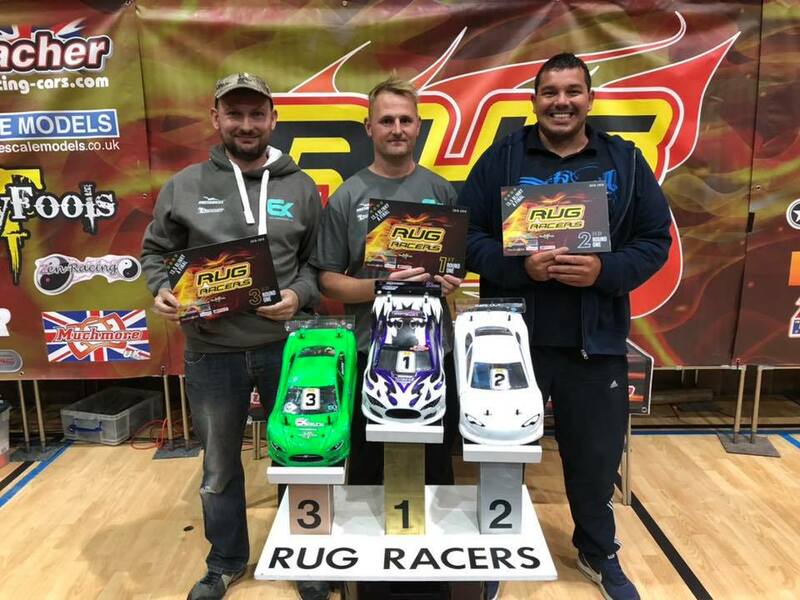 GT12 has long been part of RugRacers, with Owen Smith getting his title defence underway with FTQ & both finals to take the Overall A-Final win. 3rd, Jason Dockree. 1st, Owen Smith. 2nd, Mark Parnell. 17.5 Blinky TC was a bigger field with very close racing through out, Billy Fletcher & his ARC able to take the A Final win ahead of Vasily Simonov who would take 1 Leg of the finals. 3rd, Dani Young. 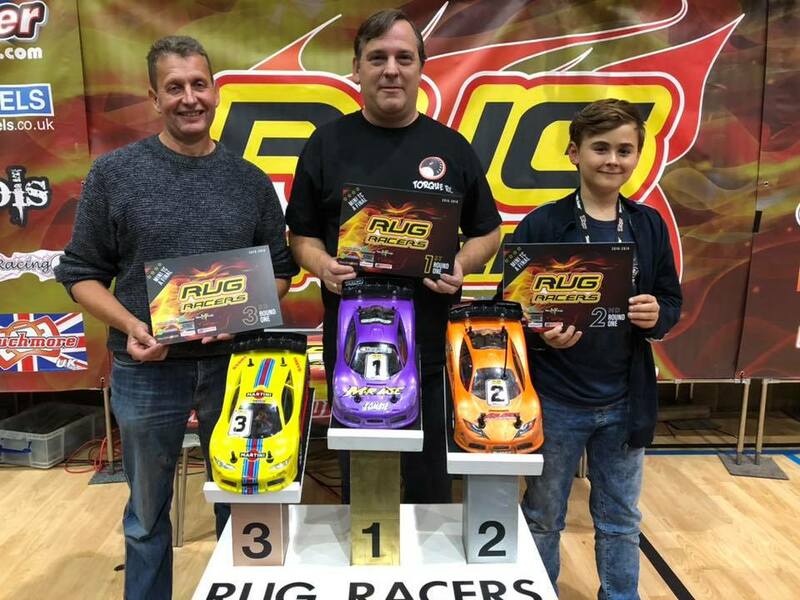 1st, Billy Fletcher. 2nd, Vasiliy Siminov. 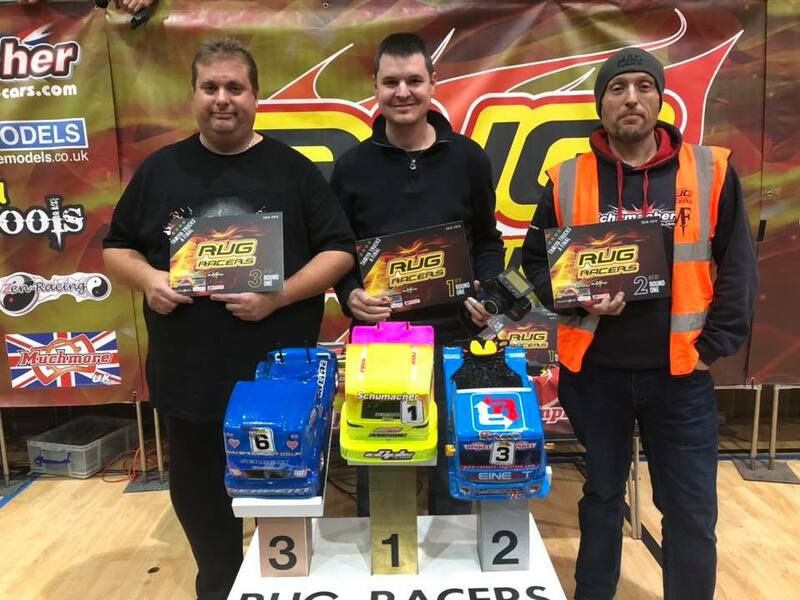 13.5 Blinky TC win was taken by long serving Ashley Wiffen of Awesomatix, Ashley being pushed hard by Jamie Hickin but able to hold him off for the overall A-Final win. 3rd, Shaun Batt. 1st, Ashley Wiffen. 2nd, Jamie Hickin.